Just one day is remaining to see the film hit the screens and it will be the D Day for Kalank. The film that happens to be the most awaited movies in B Town is releasing tomorrow amidst all the big and bold buzz in the media. It is a true multi-starrer film and is big in terms of setting, opulence and scale. Though the B Town moviegoers have experienced such a film in the past having larger than life image particularly from the makers like Sanjay Leela Bhansali, Sajid Nadiawala and Karan Johar but for 2019 this seems to be bigger. Abhishek Varman is the man who directed the film and his journey in B Town started in 2014 with 2 states making an impressive start giving a realistic urban space. 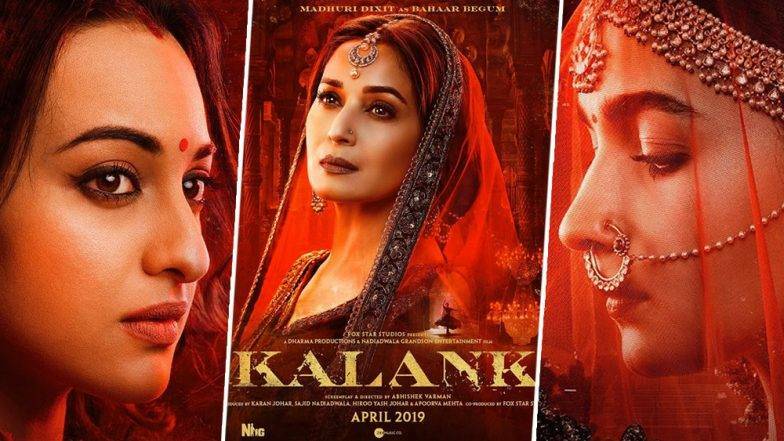 However, Kalank can be called as the period drama film made at the backdrop of partition and thus gives a very different kind of look and feel. With a huge budget and high-end technical work, the film has impressed the audience with its songs, star cast, and trailer. The makers are releasing the film is not less than 3000 screens, which will give a good reach out to the audience in the country, hence to expect a decent figure at the box office will be interesting to catch. The film on its first day is expected to get 15 to 18 Crores, while the extended weekend should get at least 70 plus crores at the box office for it. During the weekdays, the film is expected to have low occupancy but the footfall in the evening shows would be great. Well, the sky is the limit but to be modest, this will be the least one can expect from the movie.